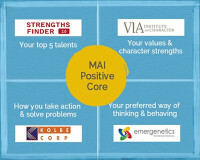 Includes all 4 MAI Positive Core™ assessments, MAI Positive Core™ summary, 2 hours of coaching with an Authentic Impact coach and an Individual Development Plan. 1 hour personal coaching session with an Authentic Impact coach to help use the results effectively. 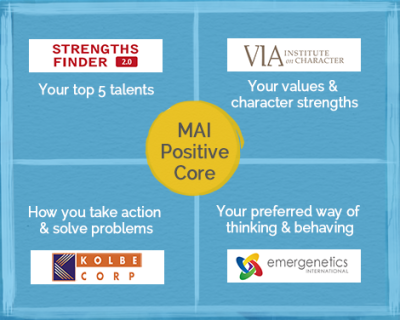 In this session your coach will create an Individual Development Plan to summarize how you can best leverage your MAI Positive Core™ to achieve the results you are seeking personally and in your career.